As a freelance writer and part-time teacher for several years, I use printers on a daily basis to the point where my own printer has become just as important as my laptop and cellphone. They are more than just a device to print documents. They are the doorway between the digital world and the hard copy world. Finding that perfect home printer is not just a matter of picking the cheapest product off the shelf. You will also need to consider the cost of ink, cost of paper, the convenience of how much paper it is able to hold at one time, and of course the print quality. Just because home printers are half the size of office printers, doesn’t mean they aren’t worthwhile. This is especially true of my personal top favorite, the HP ENVY 4520 Wireless All-in-One Photo Printer. With years of experience with printers, I’ve been able to weed out the good from the bad. While that printer is one of the best, it is far from the only good printer out there. Here you will find three of the most popular and highest quality home printer options. 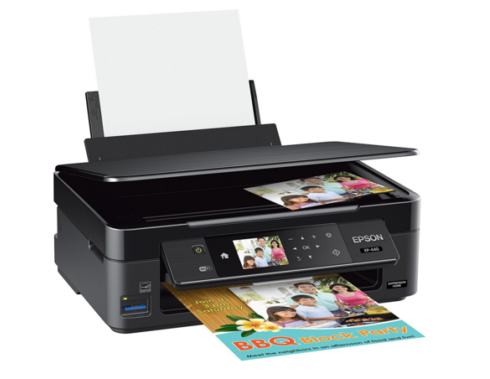 Dozens of offices and homes around the country use HP printers, so it is no wonder that the HP ENVY 4520 Wireless All-in-One Photo Printer is one of our top choices when it comes to a good quality home printer that can fit in an average home office. It comes in measuring at around 14.4 inches by 17.5 inches by 5 inches. While its features are similar to the other two top choices, what makes the HP ENVY 4520 Wireless All-in-One Photo Printer stand out in the crowd is its superior quality in printing. The HP ENVY 4520 Wireless All-in-One Photo Printer has many of the features that make printers so much more than just a device for printing obscure items. It is, as stated before, a digital gateway. This is why it has the “all-in-one” written in its title. Let’s look at what exactly the “all” of that statement entails. The three main features of this printer are its print, copy, and scan tools. Every basic all-in-one home printer should have these three options. The print feature will make hard copies of a digital file, the copy feature will make more hard copies from one hard copy, and the scan tool will create a digital copy of a hard copy. A home printer is not only judged by what it copies but also how it copies. You do not need to be directly plugged into the printer to use its features either. Your printer can connect directly into your home’s Wi-Fi, which will, in turn, connect it to all other devices on your network. This includes your computer, iPad, or your smartphone. The HP ENVY 4520 Wireless All-in-One Photo Printer takes this a step further and even has a Wi-Fi Direct option that allows smartphones and tablets to connect without the use of a network. For devices that are not connected to the Wi-Fi, you can always use the USB cable to connect directly to the printer. A bright, black and white touchscreen easily controls what is being printed, copied, or scanned. The screen is very easy to navigate and choose the option that is needed. You then load up the printer with paper in the loading tray. This tray can fit letter, legal, no. 10 envelopes, 3×5, 4×6, 5×7, and 8×10 paper. The tray also has a maximum capacity of 100 sheets of paper. The output tray can hold up to 25 sheets of paper at a time. When printing, you are not just limited to documents. This printer also does well with photographs, both in color and black and white. When it prints photographs, you have the option to have borderless printing. This will allow the pictures to come right to the edge of the paper versus leaving that white margin that needs to be cut off later. If you do decide you just need to print documents, you can save on paper by having automatic 2-sided printing. The quiet mode of the printer helps limit all the noise it lets off while printing. Of course, you cannot have a good printer without easily being able to manage it. This is why the HP ENVY 4520 Wireless All-in-One Photo Printer offers an easy-to-use app. This app will allow you to see all the latest information about the health of your printer, including the ink levels. You can also access all the printing features such as the scan, copy, and print. You can use this app to easily scan a document straight to your email. A free extra you receive with the printer is access to many templates available from HP. These templates include coloring books, calendars, activity pages, graphs, and basic ruled notebooks. You also have access to the instant ink refill plan. 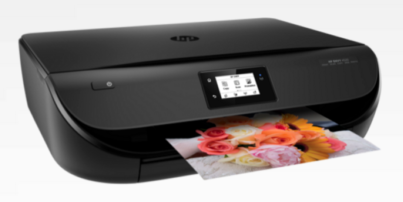 This plan connects your printer to HP or other eligible stores and will send a message to automatically reorder more ink if you are getting low. This option can be disabled if you do not want this feature. While the HP ENVY 4520 Wireless All-in-One Photo Printer is an excellent home printer, there are some details that should be taken into consideration. Since this is a home printer and not a large office printer, it will not be as good quality as a larger office printer. Those larger printers are also three times the price as this HP ENVY 4520 Wireless All-in-One Photo Printer. The quality is far from a deal breaker and will only really manifest itself when it comes to scanning in photographs. In those cases, you may want to invest in going into a professional store in order to be able to have the high quality needed to preserve the details of photographs. Another item to consider is that HP is known for having some of the more expensive inks. While it is true that some other home printers have ink that is a dollar or more cheaper, those printers are also cheaper in the quality of the documents when printed. The HP ENVY 4520 Wireless All-in-One Photo Printer can print beautiful and crisp photographs along with any other item you may need. This makes the slight extra investment worth the cost. There are also ways to save on ink by purchasing through their instant refill program or going through large warehouse stores that sell the ink in bulk. The Epson Expression Home XP-440 Wireless Color Photo Printer has made its way to second place as HP’s more affordable alternative. While there is no beating the quality of HP, not everyone can spend extra money for the ink and the printer itself. This is where the Epson Expression Home XP-440 Wireless Color Photo Printer comes in. It offers many of the same features in a more budget friendly way. The printer is 20.8 inches by 15.4 inches by 11 inches, which makes it slightly larger than HP’s printer. Like the HP before it, the Epson Expression Home XP-440 Wireless Color Photo Printer offers the three basic functions of an all-in-one printer: print, scan, and copy. You can access all these features by connecting wirelessly through the Wi-Fi. With an additional download, you can even access the printer without using Wi-Fi on some devices such as your iPad and your smartphone through Wi-Fi Direct. If you are having network problems or have a device not connected to the Wi-Fi, you can always use a USB cable to connect directly to the printer. To choose your settings, you can go through the bright LCD screen. One difference with the Epson Expression Home XP-440 Wireless Color Photo Printer over some of the other printers is that its screen is in full color versus HP’s black and white screen. This can make it even easier to navigate and see the levels. The printer can hold up to 100 papers in the load tray for printing. This printer is especially helpful for those who print pictures often. You have two options for printing photographs. You can either go through a device and print pictures you have stored, or you can use the card-slot to print photographs without ever having to go through an outside device. If you use the memory card slot, you can also do basic editing through the printer screen such as red-eye removal and basic photo restoration. The Epson Expression Home XP-440 Wireless Color Photo Printer helps with your photograph printing even further by providing the unique Epson Creative Print app. This app allows you to edit and design beautiful photographs from Instagram and Facebook. Pictures can have borderless printing so you do not have that white margin. 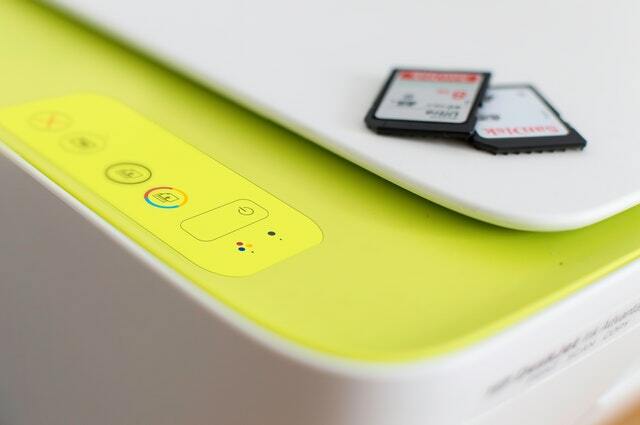 Just like the HP printer, the Epson Expression Home XP-440 Wireless Color Photo Printer also offers the option of having an automatic refill. You can track your ink usage through qualifying online stores and have ink automatically ordered whenever your ink is low so that you never have to worry about running out of ink again. The ink comes in individual color cartridges that can be replaced as they run out. The Epson Expression Home XP-440 Wireless Color Photo Printer does have an edge when it comes to the price of the printer and ink. That being said, it is not as good of quality as some other printers. It will serve the basics needs of the average household. These include documents and personal pictures. If you are looking for crisper pictures for keepsakes or colored documents for professional use, an office printer would work much better. The Epson Expression Home XP-440 Wireless Color Photo Printer has also been known in some cases to have connection issues. Most users find the printer does not have issues and if there are, it is usually associated with Mac computers. Epson has long been a name associated with longevity and quality when it comes to printers. While the more modern Epson printers do not quite live up to their predecessors, mainly due to all the new software that comes with the newer printers, they still remain a household name for many. Their popularity along with quality at an affordable price makes them the runner-up when it comes to the best home printers. You cannot talk about printers without talking about the third name known in home printers: Canon. 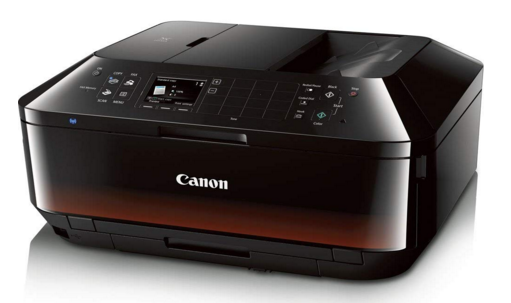 Canon has made its way into the market of home printers with their Canon Office and Business MX922 All-in-One Printer. While it does say it is a business printer, it is compact like a home printer. It comes in measuring about 19.4 inches by 9.1 inches by 15.6 inches. What makes the Canon Office and Business MX922 All-in-One Printer worth a mention is the great value you receive by purchasing an office-like printer at a home printer price. It is, of course, a printer, scanner, and copier. It even has the ability to fax. Even in today’s society, faxing is still used on occasion for transferring important documents from one printer to the next. The post office and many other places will offer you a faxing fee for using their services, but this printer will save you money in the long run if you fax often. The Canon Office and Business MX922 All-in-One Printer connects mainly through Wi-Fi. It is compatible with both Google Cloud print and AirPrint. If you would like to have an even faster connection, a USB cable is available for a direct connection. The front panel of the Canon Office and Business MX922 All-in-One Printer is very easy to navigate. There are four main buttons that connect to the four main features of the printer. An LCD screen allows for further customization for your printing/scanning/copying/faxing needs. The printer is able to print in both color and black and white. It also has automatic dual-sided printing to help save on paper. The printer can hold up to 100 sheets of paper in the automatic sheet feeder. The printer works well for printing photos as well with the option of borderless printing. The printer even has the ability to freeze a frame from a compatible camera in order to print it. This is meant to allow the memory to last longer through a high-quality print. The Canon Office and Business MX922 All-in-One Printerdoes have more features than other printers, but it does not tend to have as long of a life expectancy as some of the other printers. Printers, in general, should be updated regularly in order to have the latest software as well as to maintain the higher quality of a newer printer. The Canon Office and Business MX922 All-in-One Printer does tend to be slower than some of the other printers that are available. If you are not in a rush, you may not even be affected by the slightly slower speed. Those who have tight schedules and need to print last minute may find the extra seconds per page a deal breaker. We’ve covered three of the top choices of printers, so now let’s look a little more in depth about what it is that sets one printer apart from the next. To understand this, we must go back and understand what types of printers are available. There are two main printers – business printers and home printers. Business printers are larger and are made to complete the mass printing needs of businesses and large offices. They have multiple trays and more complex features. They also tend to have longer life expectancies. These printers also have crisper quality and are more dependable. The second type of printers are the home printers. It is a smaller version of the office printer designed just to complete the very basic tasks the average person needs. Printers used to only print documents, but as technology advanced, so did the basic needs of the average homeowner. Printers advanced along with technology and are now able to perform more advanced features without compromising the space needed to store the home printer. When choosing the best home printer, you should remember that there will always be some tasks that will be better done on larger printers. These could include quality printing, mass printing, and photographs. These three items can be done for a reasonable price at many different printing companies both online and available through your local office supplies store. Knowing this is available elsewhere, you can instead focus on what you will need with your home printer and what features would make these needs easier to complete. What you exactly need your printer for will vary from person to person. By now you are very familiar with the three main features of home printers. Those are to scan, to copy, and to print. The main focus of the printer should be its printing capacity. A good printer will be able to hold a larger amount of paper in the feeder to avoid having to constantly spend time refilling the printer. It will also have affordable ink so that the cost per page is less than it would be to pay by page elsewhere. You will also want the ink supply to last a decent amount of time so you are not always running out of ink and having to run to the store when you are in a time crunch. Having an automatic refill subscription will take that hassle out of the way by easing your mind with the knowledge that you will always have extra ink on hand for those important last minute documents. 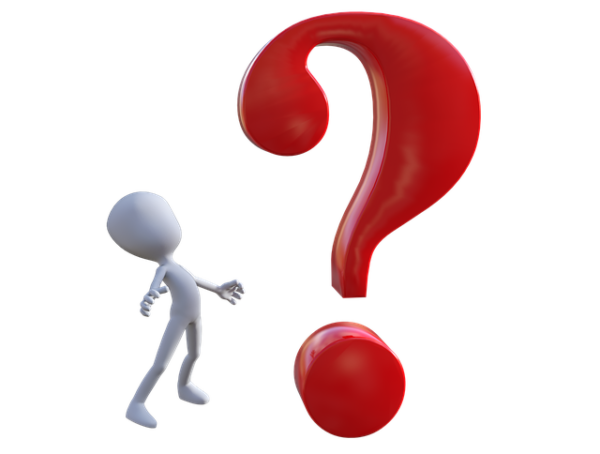 If you are not going to be using your printer often, you will have to look at how the specific printer you are looking at stands up to long periods of non-use. Generally speaking, a page should be printed at least every few weeks to keep the ink nozzles clean. If a printer is left idle for too long, the ink tends to dry and clog the nozzles. This can cost you extra money by having to go through cycles of nozzle cleaning which can use nearly half of an ink cartridge, depending on how badly the ink is dried. Sometimes you will find yourself throwing an entire ink canister out due to dried ink. In worst case scenarios, the entire printer is ruined from the dried ink and a new printer will need to be purchased. You can avoid this through the regular printing of documents, even test documents just to keep the printer in good, working order. The scan feature is helpful in many ways. You can either scan directly to your email or set up a scanning app through your PC that will allow you to edit and scan a specific way. A home printer does alright with scanning documents, but may not be the best quality when it comes to scanning photographs. These can be done better through higher quality office printers. Some people find that they have the best resolution when they digitize their photographs by taking pictures of the hard copies with a high-quality camera. If you would like to try this, you can check out the WalletPath article about choosing the best DSLR camera for the task. The copying feature works just like the scanning feature, except the copy will be another hard copy instead of a digital scan. Just like with scanning, documents work well with a home printer. But if you are looking at copying photographs that need to be crisper and higher in quality, you may need to look into professional photography services. Most households do not use faxing on a regular basis. It is available through most post offices or office supplies stores. There are even online services that allow you to fax digital files for a fee. A printer that has a faxing option can be useful but isn’t necessary in most cases. This is why most home printers leave this feature off. What else will I need with my printer? Your printer is just the start. In addition, you will also need to purchase ink, paper, and a digital device to send items from. Do any devices work with home printers? Most printers will print from any computer that is connected to the Wi-Fi or through the USB cable provided. If in doubt, always check the packaging of your specific printer as each one is different with their requirements. Some printers have been known to have trouble connecting to older devices. Can I use any ink with my printer? There was a time before technology was more advanced, that ink was ink and it didn’t matter the brand. Now, companies are creating their ink more customized to their specific printers. This helps to regulate the quality of the items being printed. 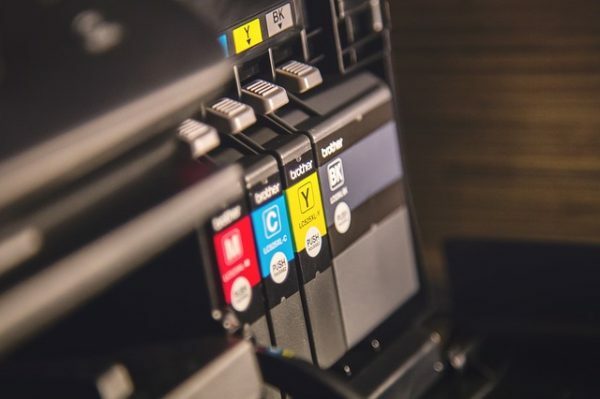 To accomplish this, printer companies have started chipping their ink cartridges with special coding in order that printers will only recognize genuine ink from the manufacturer. Third-party ink does not work in most of the most popular brands of printers anymore. Printers, for the most part, are self-cleaning. There are cleaning cycles that can be found in the printer settings. You can also test the nozzles regularly through another printer setting which sends through a test paper that will print using all the colors to show how clear and consistent each color is printing. If you notice documents with faded colors or skipped lines, it is a good possibility you will need to run the cleaning cycle. If you are still having issues, you should send the printer back to the manufacturer for a more thorough examination. Will I still be able to print black and white even if the colored ink is out? A common rumor is that a printer will not print if a color is out. People say their printer will not even print in black and white if a color not being used is out. What people do not realize is that this is not actually true. While in many cases a printer will not print automatically even if a color that is not needed is out, this can be overridden. You will need to go into your computer’s settings as well as the document’s settings in order to allow black and white only printing. Most home printers will explain how this is done. How can I save on buying ink? Many people used to think that third-party ink would save them on ink costs. While third-party ink is less expensive, you are also compromising on quality. You can hurt your printer as the ingredients and construction may not be the healthiest for your printer. Buying name brand ink can be more expensive, but there are ways to save. The automatic refill subscription will usually also come with a percentage discount that varies from company to company. You can also save money by buying ink from warehouse stores like Costco and Sam’s Club that sell in bulk. A third way to save on ink is to purchase the ink online versus going through office supply stores. Most printers will come in a bundle with starter ink at a greatly discounted price. Whether you work from home like I do and use your home printer on a daily basis, or you are the type of person that prints out cinema tickets or directions once a month, there is a home printer just for you. If you are still unsure what printer to go with, you cannot go wrong with investing in the high quality HP ENVY 4520 Wireless All-in-One Photo Printer.